Our Comfort Twill is 50% heavier than traditional poplin fabrics. Weighing 6.5 ounces, it is light enough for year-round comfort while being heavy enough to maintain a crisp appearance throughout the day and night. 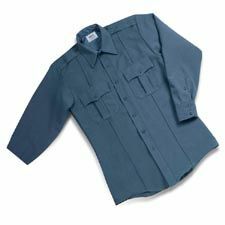 The mechanically sueded blend of 65% Fortrel® polyester and 35% combed cotton is finished with Teflon®* Fabric Protector for enhancement of comfort and performance.